Support Channels secured via bolt and acorn style nut. 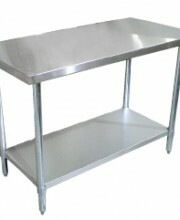 The Galvanized Under-shelf designed with welded V pipe leg supports. SKU: 110089. 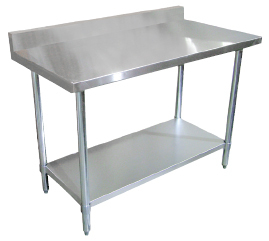 Category: Stainless Work Tables.